The crisis in Syria has created the worst humanitarian catastrophe of our time, and with the crisis in its seventh-year the Syrian people are still seeking a dignified life and a better future but are struggling to barely survive. Despite all the grief, the pain and deprivation that the Syrians have been subjected to for decades, they are now having to make enormous sacrifices and take huge risks to adapt to the changes needed in order to meet for their families and communities most basic needs, in keeping with their cultural traditions. 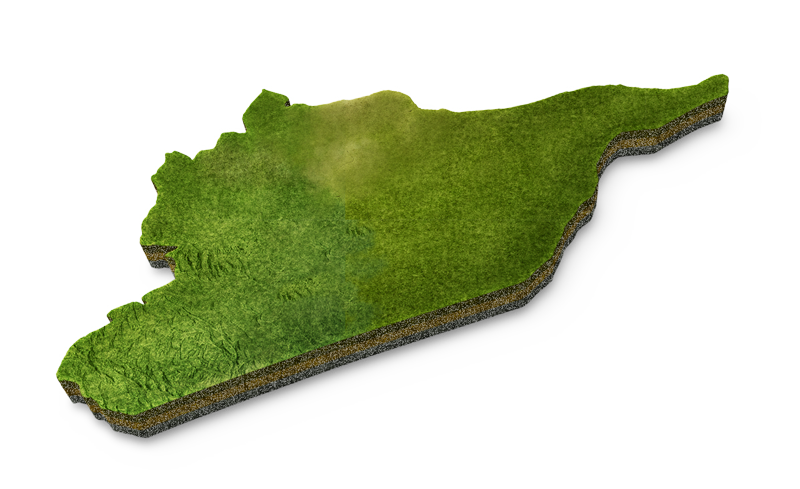 As a result of the continued chaos of the crisis, the Syrian society recognizes the need to reorganize and rebuild its institutions, with the most important institution consisting of the local councils in Syria. These local councils are considered as elected bodies that reflect the views of their communities and seek to achieve their aims as well as run and manage services needed. The councils provide essential public services, from water and electricity to order and security. These elected governing bodies have adequate awareness to apply the Local Administration Law 107, a law approved by the Syrian Government in 2011, in order to maintain the unity of the Syrian territories and fill the gap for social and governmental organizations in regions free from the governing dictatorial authorities. With the aim of supporting these local councils, the Local Development Organization (LDO) was established by a number of experts to support local administrations in the fields of governance, economy and community development. LDO seeks to achieve a framework that helps local councils and their communities to achieve professional standards and good governance. In March 2011, violence sparks in Daraa after a number of teenagers and children are arrested for taking part in political graffiti. Peaceful anti-government demonstrations begin as a result, but these quickly escalate and dozens of people are killed when the government’s security forces violently crackdown. In 2012, the US closes its embassy in Damascus and recalls its diplomats and the Gulf Cooperation Council announces its member states are pulling their ambassadors from Damascus and expelling the Syrian ambassadors in their countries. The United Nations General Assembly, in this year, passes a nonbinding resolution endorsing the Arab League plan for al-Assad to step down. The vote was 137 in favor and 12 against, with 17 abstentions. At the start of 2013, there were 1.5 million refugees and the UN Security Council estimates that the number of civilians killed in the two-year civil war in Syria is approaching 70,000. The UN and the United States request an urgent investigation of Syrian activists’ claims that the al-Assad government used chemical weapons in an attack on civilians on 21st August. It is estimated that more than 1,300 people were killed in the attack outside Damascus, many of them women and children. In February 2014, a second round of peace talks ends in Geneva, Switzerland with no progress in ending the war in Syria. Al-Assad is re-elected, reportedly having received a majority 88.7% of the vote in the country’s first election since war started in 2011. The situation in Syria goes from bad to worse when outside parties begin launching airstrikes in the fall of 2015, with an increase in the number of civilian casualties and families forced to leave their homes in search of safety. White House spokesman Josh Earnest says that the United States will deploy Special Operations Forces to be sent to Kurdish-controlled territory in northern Syria. The American troops will help local Kurdish and Arab forces fighting ISIS with logistics and are planning to strengthen their efforts. In December 2016, fighting in Aleppo City intensified and East Aleppo, the final stronghold within the city, fell. People were forced to flee their homes and evacuate the city. We met those who made it out with critical supplies in areas of northern Syria. Now, even more Syrians have been displaced. According to the U.N., $4.5 billion was required in 2016 to provide emergency support and stabilization to families throughout the region — only $2.9 billion was received as of March 2017. OCHA states that as of March 2017, more than 5 million Syrians have fled the country, with over 3 million in Turkey, in excess of 1 million in Lebanon, approximately 650,000 in Jordan, and many more scattered in various other countries in addition to 6.3 million people internally displaced and in need of assistance. According to U.N. statistics, $4.6 billion was required in 2017 to provide emergency support and stabilization to families throughout Syria, however less than half this number has been received. It is crucially important that, as well as funding emergency assistance, donors, governments and the U.N fund long-term programs and governance projects that address the underlying causes of the conflict, build resilience and promote peaceful communities for a sustainable future. Despite a 30-day ceasefire being approved by the UN Security council, activists on the ground report shelling from pro-regime positions, causing injuries. It is stated by UNICEF regional communication chief that more than 1,000 children have been killed or injured in the first two months of 2018 in Syria. Attacks on Eastern Ghouta in April leave over 500 people affected based on reports by the World Health Organisation, as helicopters drop barrel bombs filled with toxic gases on rebel held areas. In response to these attacks, the United States, France and the United Kingdom launch airstrikes on Syria. 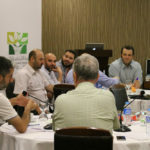 The Local Development Organization has worked in the Whole of Syria previously, but due to the crisis and various political restrictions, access is limited to all organisations. LDO has access to and working in opposition areas, ensuring the safety of our staff and beneficiaries as our utmost priority. 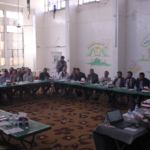 As of October 2018, LDO is implementing projects in the governorates of Idleb, Hama and Aleppo. The Local Development Organization, also known as LDO is a non-profit, non-political civil society organization focused on supporting Local Administration, municipalities and communities. 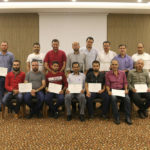 LDO organization is registered in Turkey and has its head office in Gaziantep- Turkey, with three active offices inside Syria- in Aleppo, Rural Damascus and Dara’a.